So far, so good. We've only put it together. 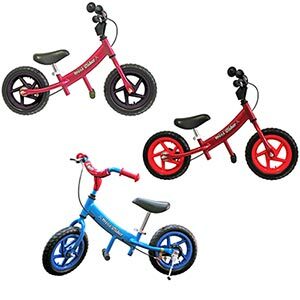 Assembled dimensions: 36" x 25" x 1"
It is a bicycle alternative that is safe, lightweight and teaches children learn to balance on two wheels. It arrived today and Leah and I put it together tonight. Tomorrow we'll give it to our son and see how he does on it. We'll update this as he goes!